Are you a traveller or an explorer who likes helping others find the best spots in town, and making new friends around the world? 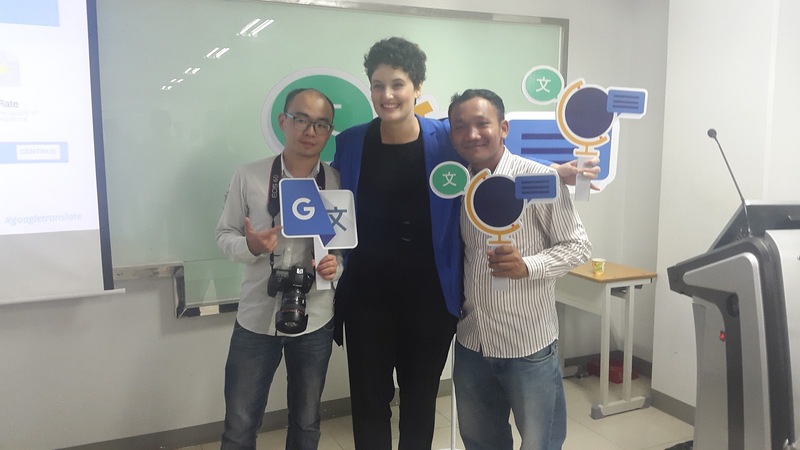 If yes, I personally recommend you to join a new Google's community program, Google Local Guides, which was publicly announced in the blog post on November 13, 2015. Local Guides is a global community of explorers who share photos, answer local questions, add or fix places, and write reviews on Google Maps. Millions of people rely on contributions like yours to decide where to go and what to do. Since I have known the power of Google Maps, I always use it for my travel and then I have been starting to contribute in order to promote the local places thru adding new places, photos, reviews, and editing information, mostly in Cambodia, to the world. Helping others mean you help your society too. As a local guide, I can help other people find where to go and what to do based on my own experiences, and not only I always help others but also they can help me find the best new places that I will plan to go and to do. Millions of people rely on contributions like mine to decide where to go and what to do. Once you sign up, every place you contribute to in Google Maps earns you points towards unlocking something new—from early access to new products to exclusive contests and events (Local Guides Level 5 Summit etc. ), bonus Drive storage, and more. Honestly, I am one of level 5 local guides in Cambodia, so those benefits I had already - it's your turn!. You can earn points and level up (level 1 to 5) by writing reviews, uploading photos, adding new places, fixing outdated information, and answering simple questions. Each contribution type is worth one point, so you can earn up to five points per place. Read more on the official help. 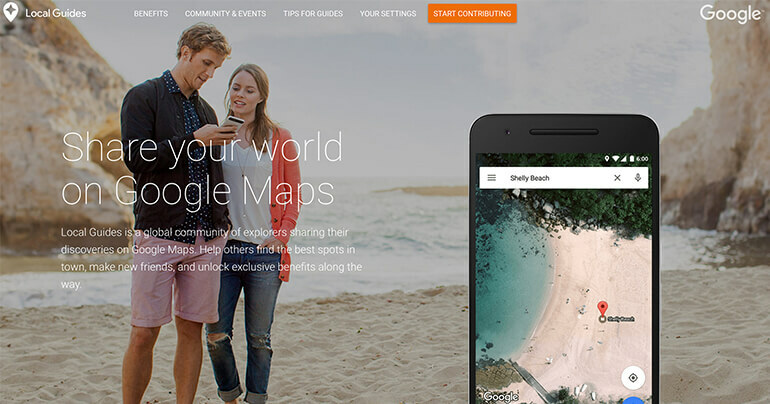 Thousands of people joining the community at everywhere Google Maps is available. Due to the recent introduction to new community forum for local guides, Local Guides Connect - a new way for us to start conversations, swap local tips, and plan meet-ups with a friendly community of fellow explorers in our areas. It is a good chance to keep in touch, even face-to-face, and make new friends with other local guides in the globe. You want to say hi or ask questions to Googlers (Local Guides team)? You can make it on Local Guides Connect so easily. They are friendly to help reply to your questions, I think :-). What are your reasons to join the program? Share it in the comment below! Since Google started working with the U.S. Geological Survey (USGS), NASA and TIME, it has released more than a quarter-century of images of Earth taken from space, compiled for the first time into an interactive time-lapse experience. It believes this is the most comprehensive picture of our changing planet ever made available to the public. Visit the global timelapse video shows changes to our planet visible from Landsat satellite imagery? Back to the Google Earth Engine, do you know it? Google Earth Engine is a platform for petabyte-scale scientific analysis and visualization of geospatial datasets, both for public benefit and for business and government users. How is Earth Engine different from Google Earth? Earth Engine and Google Earth serve different purposes. Google Earth enables you to travel and learn about the world through a virtual globe. You can view satellite imagery, maps, terrain, 3D buildings and much more. Earth Engine, on the other hand, is a tool for analyzing geospatial information. Although Earth Engine has a data catalog, not everything available in Google Earth is available for analysis in the Earth Engine catalog. Similarly, much of the data in Earth Engine is not currently available for visualization in Google Earth. This video introduces Earth Engine and demonstrates how it is being used to address planetary challenges. Visit more on Google Earth Engine's website! 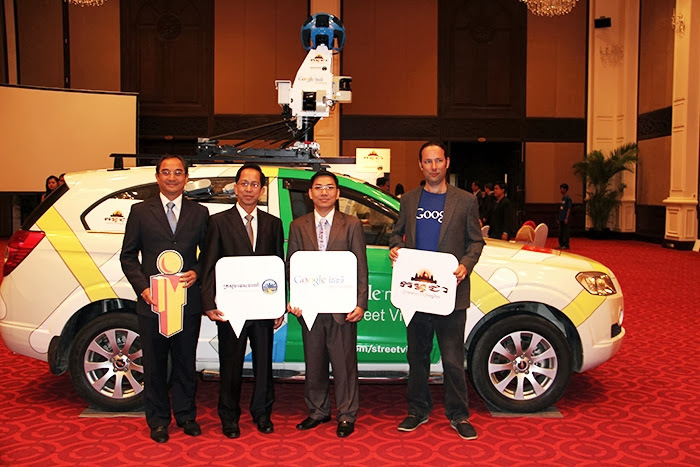 With great efforts by local team of Google Street View in Cambodia for nearly a year since July 2013 when the official project announced. Today, I am really proud to see my historical site, Angkor Wat Temple, officially published on the Street View. 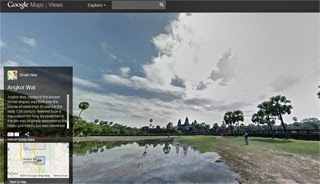 The Angkor Wat project includes over 90,000 360-degree views from over 100 temples making it into one of Street View. Let explore the Angkor Temple through this official video! The good news makes me feel so excited to write this article to share with my beloved readers. Bravo Cambodia! Let's share the 360-degree photos together!! 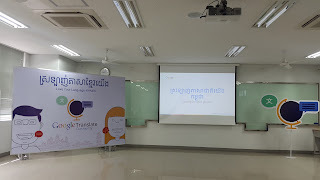 As my previous article about Khmer language listed in Google Translate during April 2013, and presently Google Street View project in Cambodia has been implementing nationwide - these all are the emerging investment of Google into Cambodia, so have you known today how many Google services which are available in Khmer language? Personally there are three services (not count Google Search "Web & Image") available in Khmer now; they are Google Translate, Google Maps, and Google Drive. How can I view them in Khmer language? First trick: You have to go to address by typing the Google website into (www.google.com or www.google.com.kh) then select or choose interface to Khmer (as mentioned below the search box), and last you can go to each service, so you can view it in Khmer. So, it will show you in Khmer language all. 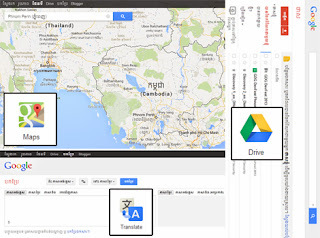 - Go to your Google Drive (https://drive.google.com/) , next go to Settings tab (at the top-right corner of browser) -> Go to Settings -> In General section: Language, choose Khmer language (ខ្មែរ) by scrolling at the bottom-> last, please Save your change. Enjoy!! 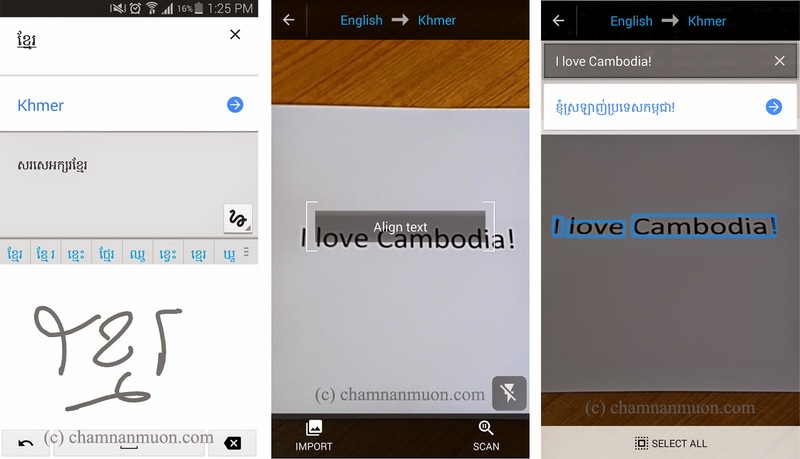 Now you can view the Khmer language as needed! 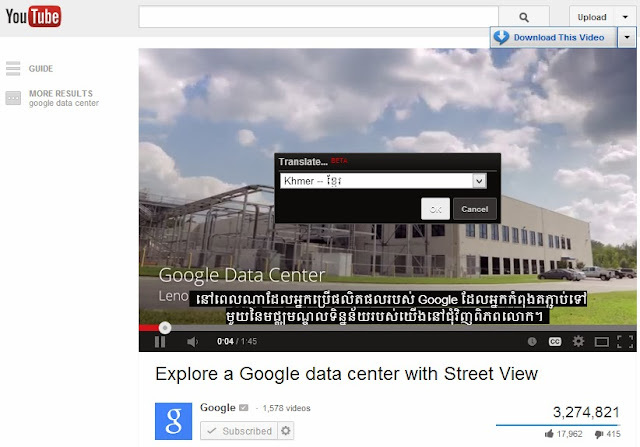 Finally, I hope sooner we might view in Khmer language of more Google services. 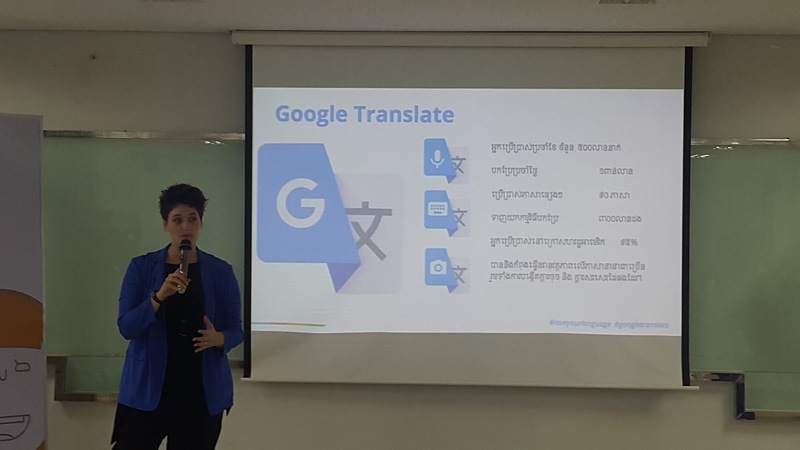 How Many Google Services Available in Khmer Language? This morning while I am checking my Google+ profile, I got an notification alert from community of GDG Phnom Penh that shared a post about Khmer Language available on Google Translate. The news, it makes me feel so happy to hear, I think this info we are Khmer/Cambodian waiting for long. 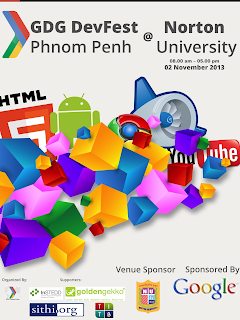 It's a special gift for Cambodian users on occasion of Khmer New Year 2013. What Google Translate team say about Khmer language for their service? Would you like to check this "Thanks you" on it? Find it here! Finally, our language is stated on Google Translate. Bravo... Cambodia, Kingdom of Wonder!!! 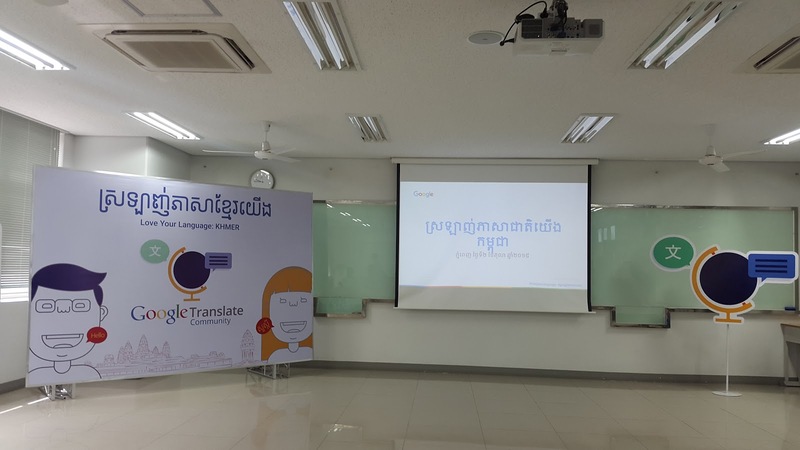 In personal, I would appreciate for Google Translate team and Cambodian Khmer language team for your hard effort to make it worldwide available. Thank you all so much! This morning, while I have checked my personal Youtube channel, I saw the new popup alert at the top of the channel. It may introduce new stuff, I guessed that, I know Google never stop changing or improving more and more. I am also a Youtuber who I like watching on it and uploading some stuff related IT, personal hobbies, events, tips etc. These why I have to note its improvement on my channel by updating it to use the new one. "You are more than the sum of your uploads. 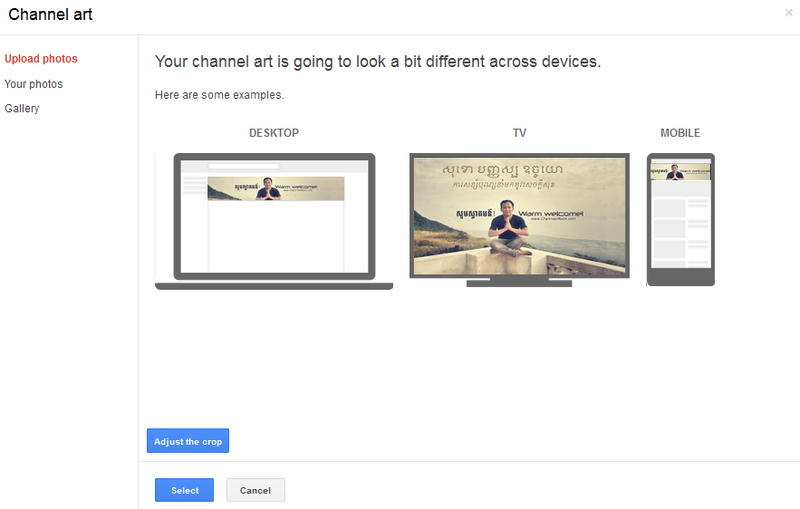 On your new channel, branding works across devices, you can reach out to non-subscribed viewers, and you can show off more of your content so fans will go deeper" - YouTube. What impress me to switch to this new changes? 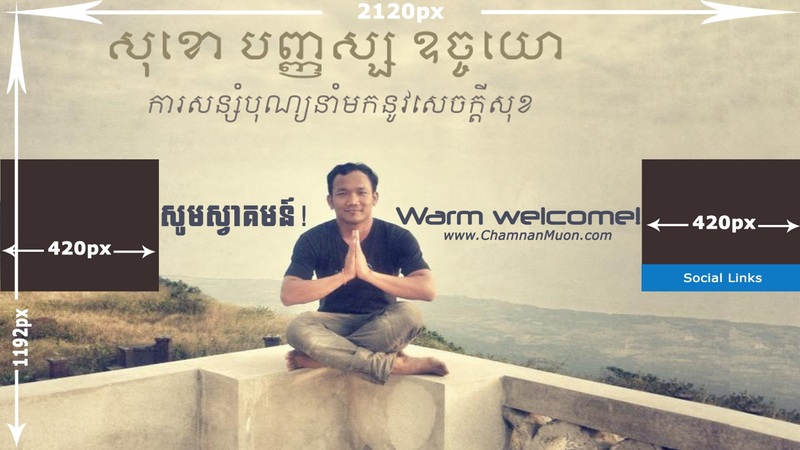 - Banner: that allow me to upload photo with the size 2120 X 1192px (recommended), it's really nice to flexible based on your devices (Desktop, Mobile, Tablet) to use; its maximum scaled width, the channel 2120 X 350px, and the minimum is 1280 X 350px (it's a kindly of Responsive template). You can download my sample designed photo layout (in Photoshop format). - Customized content/layout: It's really nice stuffs which allow me to customize my videos in a bigger player mode as Trailer, below the banner photo. I can customize all contents (Popular uploads, Recent uploads, All playlist, Likes, Recent post, Recent activities, Single playlist, and Tag) onto first/home page by two layout styles (Horizontal row or Vertical list). 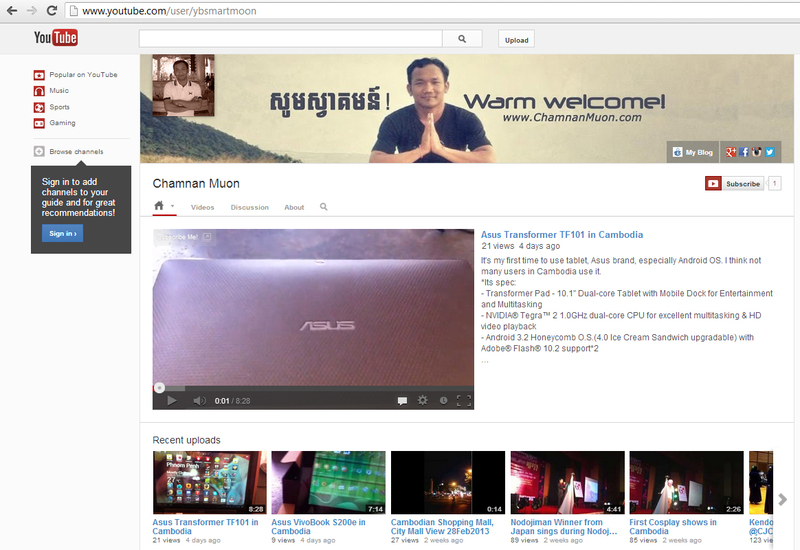 Now I have updated it to the Once Channel as shown in the below photo. 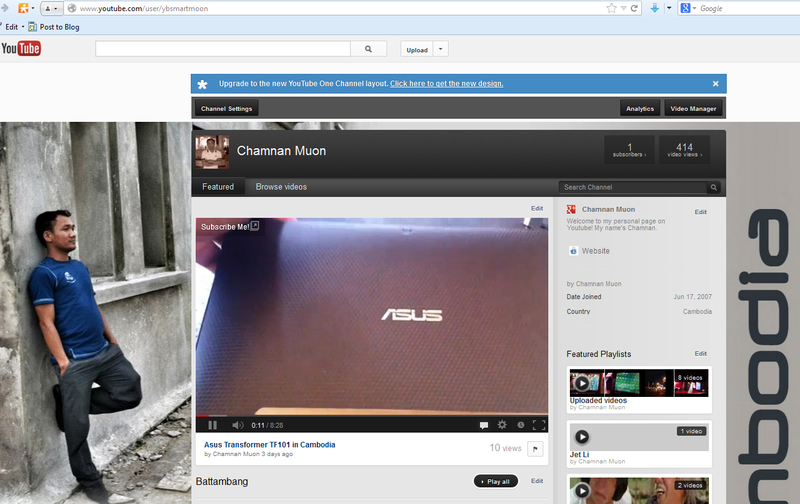 Finally, the old layout that allows to upload photo as background today it is out of my channel. I am pleased to share and keep its new feature tips in my blog. Do you like the new change? Check it out more features! 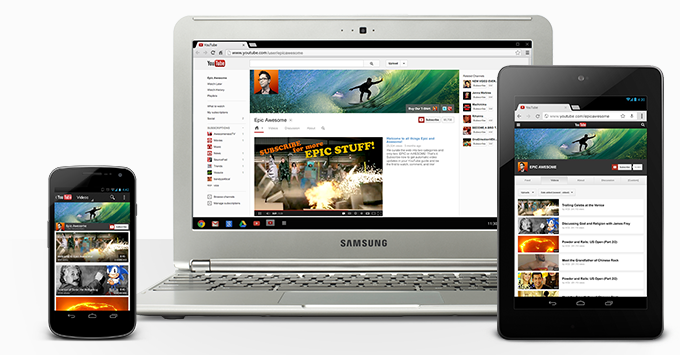 Youtube introduces YouTube One Channel - New design! Today when +Song Sopheaktra, my colleague spoke out loudly "Wow!! Google+ cover photo got Bigger now!" around 4:00 P.M. At the time I have checked my Google+ profile to view it, then I got the highlight popup to inform me to update it to new cover photo. It's cool that I can upload a big photo to my profile but I think it's a bit big, if anyone surfs their profile using slow speed internet, it will cause them loading slowly, so will it make them bored? 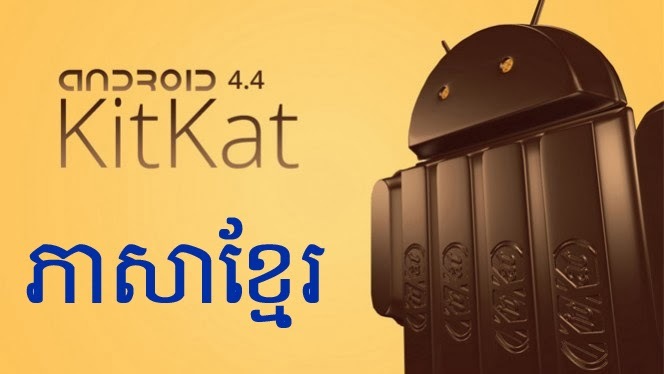 Luckily, presently even in my beloved country, Cambodia, Internet connection that most users use is improving much more if compared to last 4 or 5 years ago. But what I felt a bit strange on this information to update to new cover one, why Google+ doesn't give me like "Read more..." on this point; I wonder is there any policy or rule to upload it. 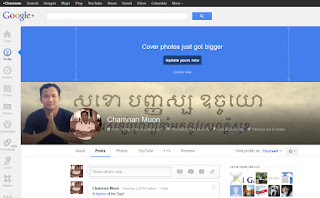 Anyway, I hope Google+ will not ban or strict much on cover photo as Facebook does. For my own experience on the cover, the previous one the size of photo was 940px X 160px but the new one is from minimum 960px X 545px up to 2120px X 1192px. Finally, I can say "Yes" I like the new cover photo, and how about you? Since I knew on how to use Google Map Maker (when I was in year 3 in the college, 2006), I have started mapping it so far, especially for my local business, attractive sites, public schools, and state offices etc. at my homeland, Takream commune, Banan district in Battambang province. Do you know what is Google Map? Now let me introduce it shortly as in quote "Google Maps is a map service that you view in your web browser. Depending on your location, you can view basic or custom maps and local business information, including business locations, contact information, and driving directions. Click and drag maps to view adjacent sections immediately. View satellite images of your desired location that you can zoom and pan." So you know already what Google Map is, and then do you know what's Google Map Maker so? Google Map Maker allows you to add and update geographic information for millions of users to see in Google Maps and Google Earth. By sharing information about the places you know, like your favorite restaurant, the baseball court where you go to play or the fastest path across your university campus, you can ensure the map accurately reflects the world around you. Your updates will be reviewed and, once approved, will appear online for the world to see. In order to expand their map worldwide especially in an increasing economic & booming internet country, Cambodia. They, Google, had started its first campaign through Phnom Penh Google Technology User Group(PP-GTUG) in partnership with the second mobile operator in Cambodia, Smart Mobile, officially announced Cambodia Mapping Competition on 13 September 2012 for public with the following website, www.mapmakercambodia.org; by starting date from 15 October – 30 November 2012. It just finished yesterday. I am also one of the 104 participants in this competition. All participants, I think they have each purpose to attend even myself. * All Winner 1, 2 and 3 will be given 1 year FREE Call from Smart Mobile (10$ monthly). For me, I have my own target to attend the competition since the beginning of the time, I told myself that I don't want to get any prize. Do you wonder why? The reason, my main purpose is to contribute what I know on the technology tool for my community or my country so this is a good chance to do so. What my contribution through the competition (Google Map Maker) in Cambodia is nothing much; anywhere I mapped almost all I know well and for the new mapping locations like on the way from Phnom Penh to Prek Ambel in Kandal province, luckily I have a smartphone to help me (I always use it for) check-in on the place when I stopped or parked my lovely motorbike. During these duration, most I started mapping during my lunch time (when it's on working days), and for the night time, uhm...m, I used the take-care my son time to map it. While my beloved son got sleep, hehe... it was the time I contributed. Check it out, my Google Map Maker profile, to see my contribution! I think we know that it's a big effort for Cambodian participants to Google for its long term result but it also gives more benefits for our country in the future. I personally note that, since the edits result 15144 edits by the local organizer, I am very happy to see more location names appear in the Google Map. It will be more easy for me to go anywhere using mobile to find the place. Finally, I very appreciate all participants who use their valuable time to contribute on this too. Let's keep mapping more!! Thank you all :-)!!! Today when I check out my Gmail, I found an pop-up of introducing the new compose in Gmail, I personally like this new feature of it so I am writing what's the feature providing for the users. 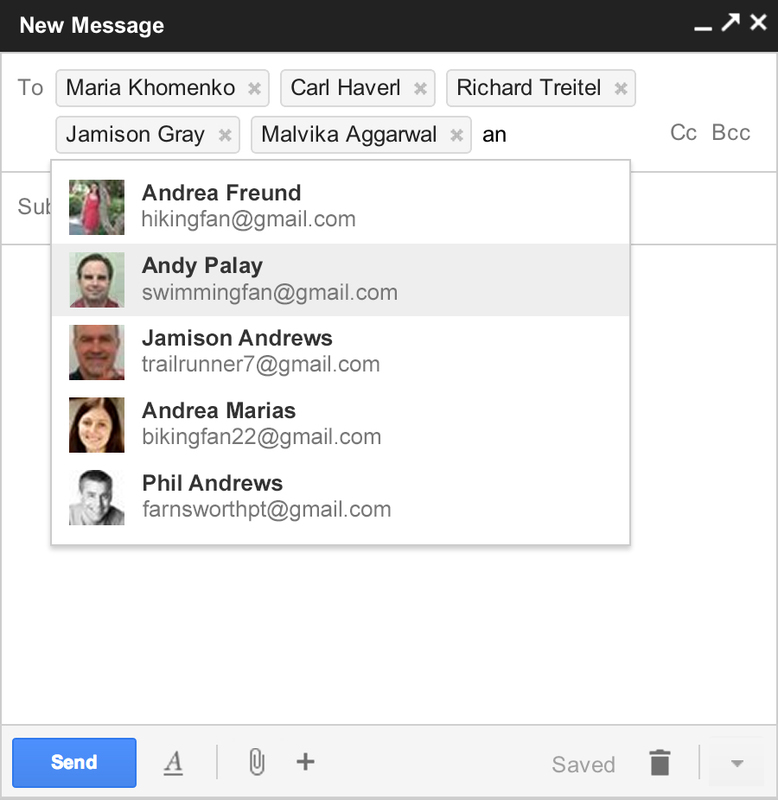 Fast: Compose messages right from your inbox. Simple: Redesigned with a clean, streamlined look. What's the coming soon feature? A few familiar features aren’t available yet, but they're working hard to make it available to us soon. 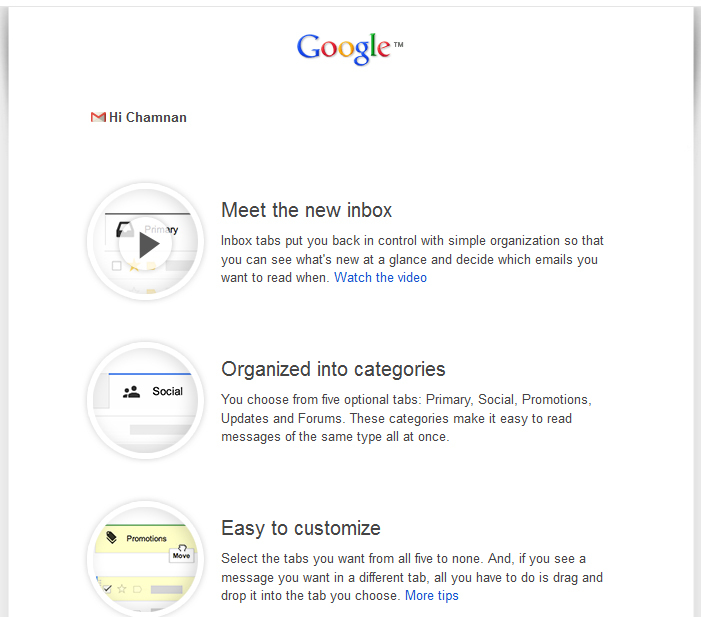 You can find out more on how to use it at the official Google Gmail help.